Around the end of 2011, I fell behind on several print projects in order to get together some great e-books as part of our company's digital initiative. While I'm still digging myself out of a hole, I did notice recently that these e-books are now available on Amazon. So I thought I'd share them. My first book of poetry prompts! 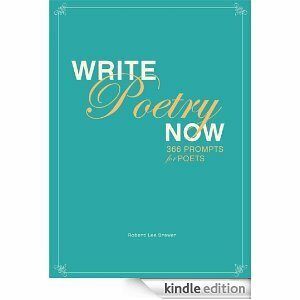 In this e-book, I collected 366 poetry prompts that I've devised over the years over at my poetry blog along with a few new ones. Plus, some of the prompts are form-related, so it's an instructional book in that sense. But mainly, this e-book is meant to act as a spring board to poeming. In this mini-market book, writers of mystery fiction can find scores of listings for book publishers and magazines that consider mysteries, whether in long or short form. The listings include information on how to contact, what to submit, and more. With Valentine's Day just around the corner, romance is definitely in the air. In this mini-market book, writers of romance can find plenty of listings for book publishers and magazines that consider romance novels and/or short stories. As with the Mystery Writer's Market, these listings include contact and submission information and more. I love the little skull on this cover. If romance horrifies you, then maybe this mini-market book is more up your dark alley. 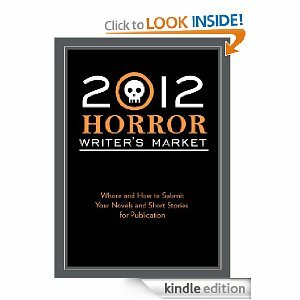 The 2012 Horror Writer's Market offers plenty of listings for magazines and book publishers looking for fiction that frightens. As with the other mini-Market Books, these listings include how to contact, what to submit, and more. Of course, if all of this sounds alien to you, then this may be the mini-Market Book for your needs. In it, there are plenty of out-of-this-world listings for book publishers and magazines who are on a quest for great science fiction and fantasy fiction. As with the other mini-Market Books, these listings include how to contact, what to submit, and more. Sending cold queries is one thing, but the best way to make meaningful connections with editors, agents, and other writers is by attending writing conferences. This guide collects listings for writing conferences. Each listing includes information about when and where the conference is held, as well as what is offered at the events. Looking for a good contest? This guide should have it. Contests are a great for writers who want to find fame and glory for their writing. This guide to writing competitions includes hundreds of contest listings for nearly every genre of writing. Each listing includes contact and submission information and more. Sometimes writers just need help from a professional. If this describes you, then you'll be interested in the 2012 Guide to Professional Serivces for Writers, which includes listings for freelance editors, self-publishers, and other professional services. This guide is packed with hundreds of listings for services that some writers need. Great resources Robert. Congratulations on each of these accomplishments. One more ebook: Wingbeats:Exercises & Practice in Poetry (Dos Gatos Press), a book that premiered this fall in trade paperback, is scheduled to be released as an ebook later this month! Hi Bob, Thanks for the good list...wanted to let you know that the product description for the Sci-Fi and the Pro Services guides on Amazon are for the Romance book--not sure if that is Amazon's fault or not but wanted to give you the heads-up. I also noticed they shortened my name on some of the pages to just Robert Lee (without the Brewer). Sigh. However, the books themselves are good. Secret to Good Parenting #1: Have Fun!